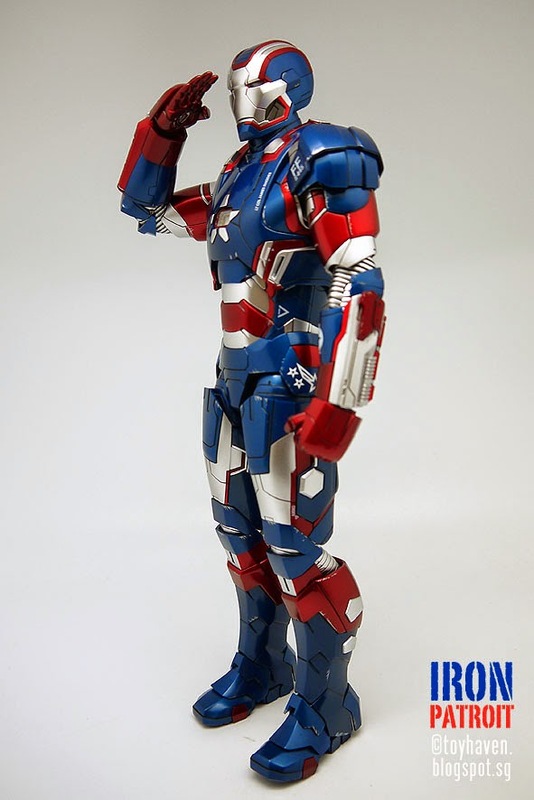 I guess it’s appropriate and timely that I post pictures of this recently released Hot Toys MMS195-D01 Movie Masterpiece Series Die-cast 1/6th scale Iron Patriot 12-inch Collectible Action Figure from “Iron Man 3” with the alternate saluting hand / palm which is included with this figure (see pictures of the box and contents HERE). 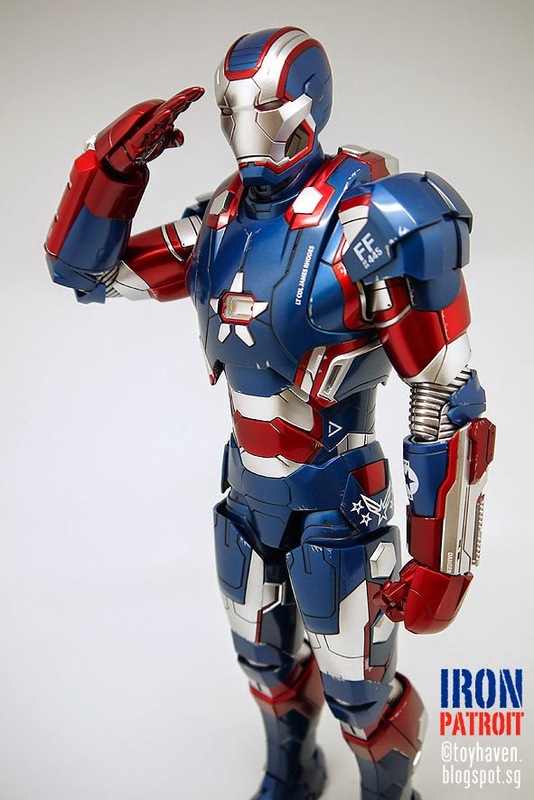 Interestingly enough, this saluting hand was not part of the initial list of included hands when Hot Toys first published the official preview pictures. 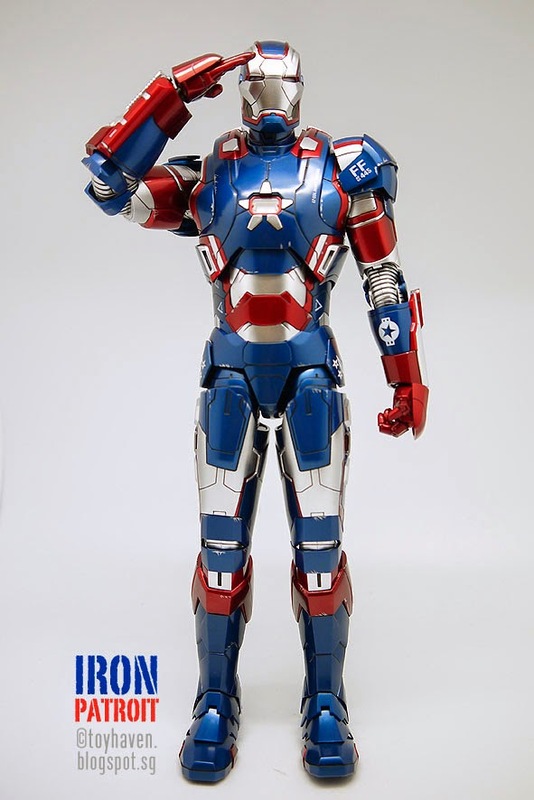 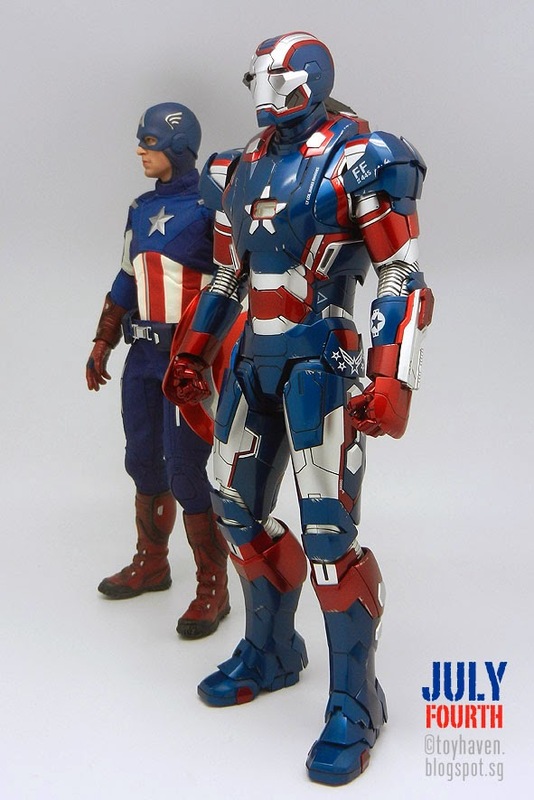 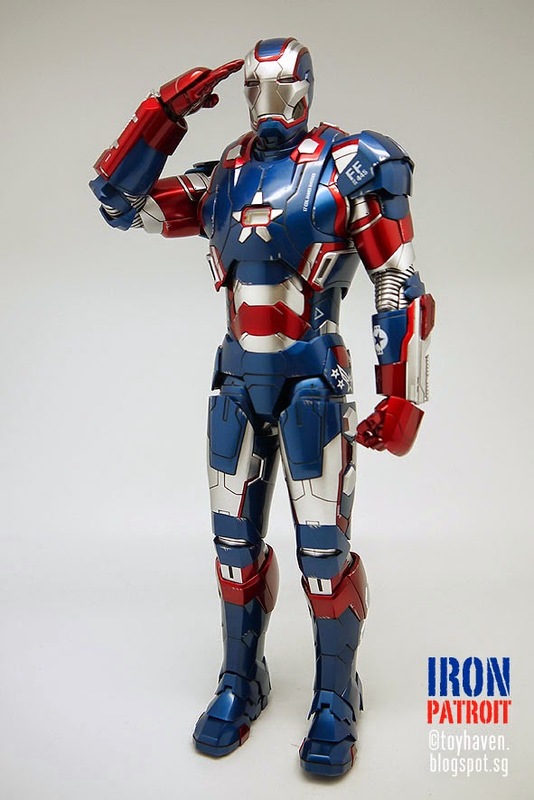 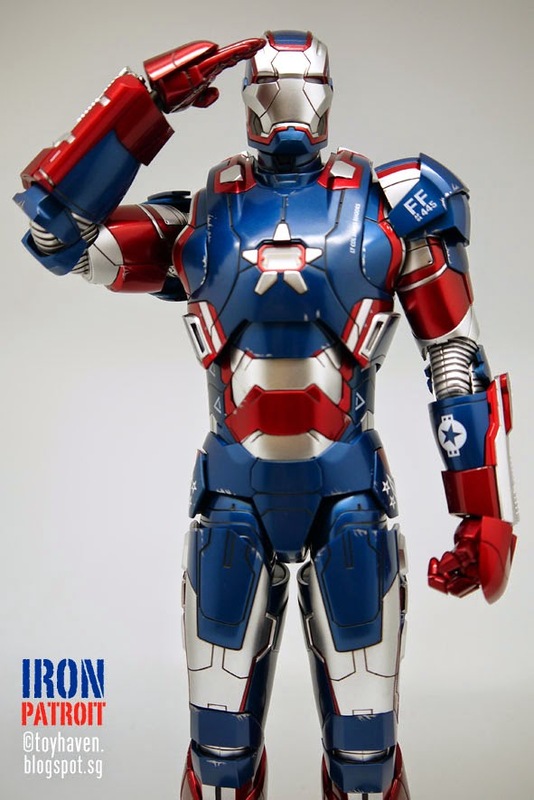 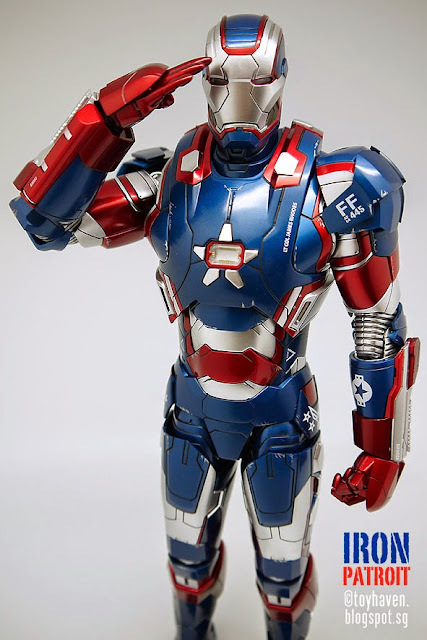 Besides the Protector of Liberty which is well fortified of military strength and technological superiority (which is how Hot Toys described this 1/6th scale Iron Patriot Limited Edition Collectible Figurine), another figure that is well suited for Independence Day would be Captain America. 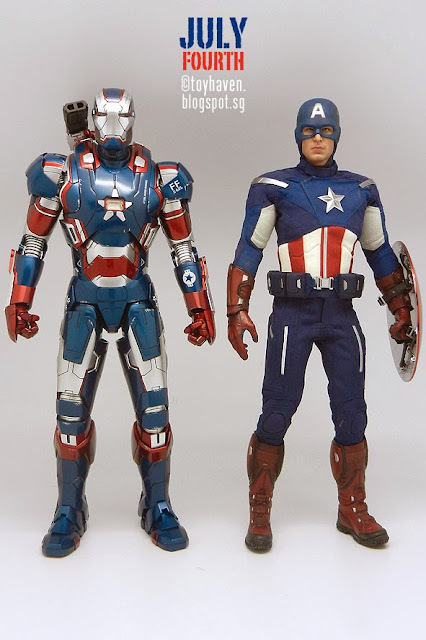 Here are pictures of both Hot Toys Iron Patriot and The Avengers Captain America 12-inch figures standing side-by-side for size comparisons. 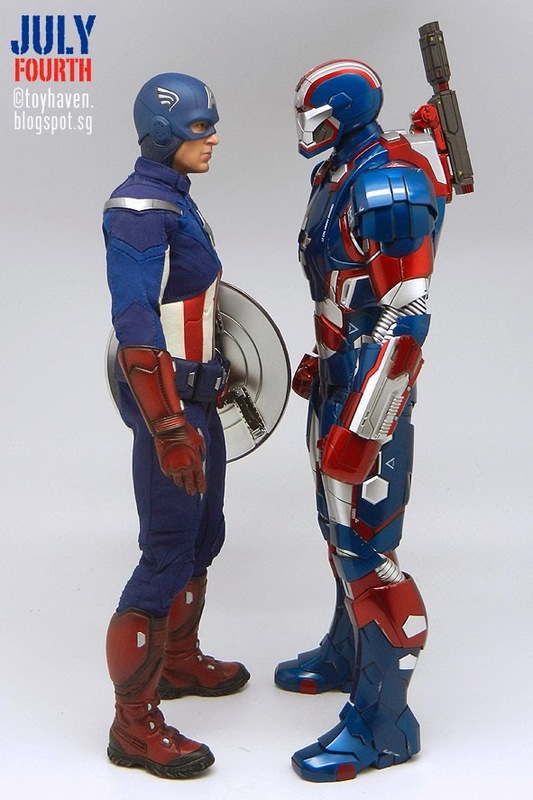 Scroll down to see how they fare against each other. 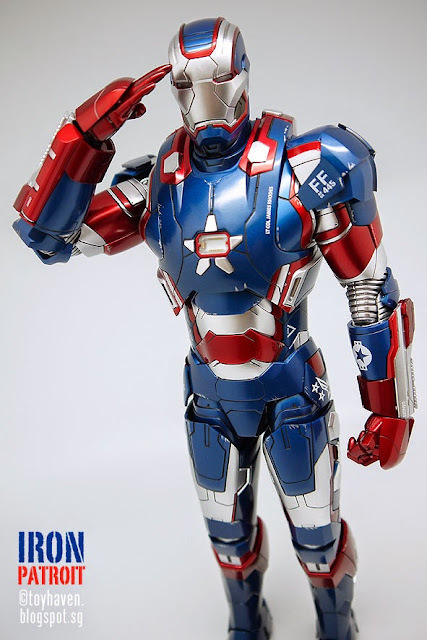 Click on the pictures for bigger and better views. 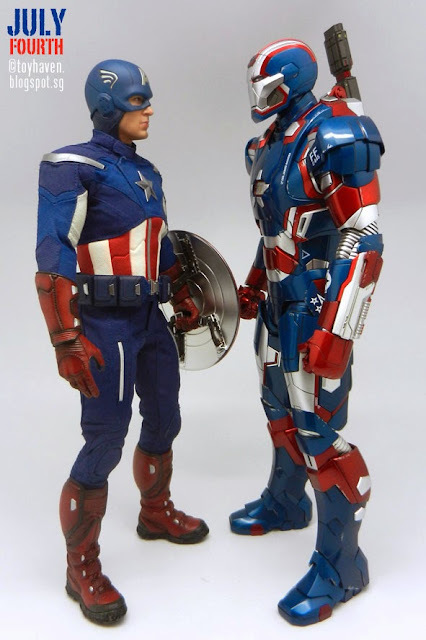 This entry was posted in Action Figures & Statues and tagged American, diecast, Friends, FROM, HAPPY, Independence, Iron, Patriot, Toys by boysbesttoys. Bookmark the permalink.